Depths of Peril is a single player action role-playing game (RPG) with strong strategy elements. You play as a faction leader protecting the barbarian city, Jorvik, by destroying threatening monsters and completing quests. At the same time, you compete with rival factions to see who will rule the city. Barbarians choose their leaders by fighting to the death! As a faction leader, you must deal with rival factions through diplomacy, trade, and in time, war. Between battles and raids against other barbarian factions, you build the most powerful faction possible, to withstand your enemies. Building the power of a faction involves exploring a fantasy world, slaying dangerous monsters, solving quests for the city, avoiding deadly traps, and plundering loot to share within your faction. But in this world, actions actually have consequences, so take care. Annoying the powerful and aggressive Legion of Fear faction will cause them to declare war and destroy you. 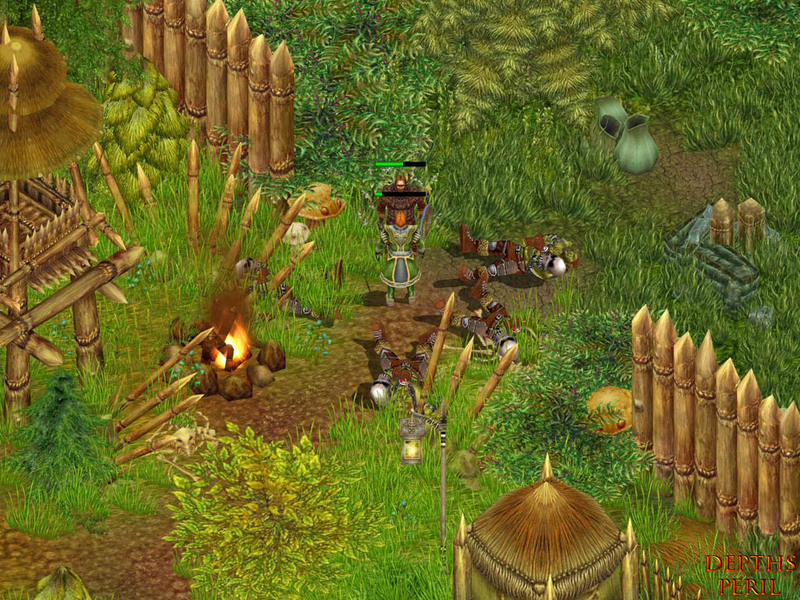 Ignored Orc uprisings in the Black Forest will cause even more trouble. Protect ally covenants that are being raided, because friends are hard to come by.